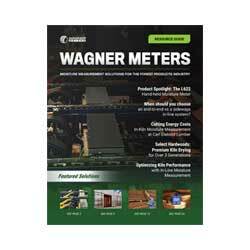 Rogue River, OR (December 2013) – Wagner Meters will once again be part of World of Concrete in 2014, and the team is excited to bring the Rapid RH® DataMaster™ back to WOC after it was awarded the MIP Industry Choice Award last year. The Rapid RH® DataMaster™ is a handheld device that pairs touch screen capabilities with Bluetooth® technology to allow users to quickly and easily record all test data for a particular job site. With a simple touch of the Easy Reader to an installed Smart Sensor, the DataMaster records all the information necessary for ASTM-compliant reporting. Used in conjunction with www.f2170reports.com, the DataMaster™ protects job site data integrity and simplifies the necessary reporting too. To learn more about the Rapid RH® DataMaster™ or the complete line of innovative Rapid RH® products, visit Wagner Meters booth S12149 at World of Concrete, or visit www.wagnermeters.com/concretemoisture.php.